Apparently, this is the only image that is confirmed so far. The previous ones are confirmed not to be from Guerilla Games. I played it till halfway through. Same with Killzone Liberation on PSP. i played liberation wonderful game,killzone never got a chance to play much. but im waiting for the full unveiling before making judgements,and dont worry if its bad ill be the first one to say it. The additional content will be available via PSN as a new trailer including GAME PLAY footage to be revealed at Sony’s E3 Press Event (but not playable to the people.) The Gameplay will also be put on PSN in 720p. ADDITIONAL pictures will be posted online. Arjan Brussee, who is responsible for the development of Killzone 2, confirmed that Guerrilla Games has a whole bunch of screenshots that will be released very soon. Mostly all developers retouch the screenshots before sending out them to the press,they could have easily smoothened out the shadows here,dunno what they are trying to prove. Indeed, it's quickly apparent that Guerilla has come much closer to the original trailer than most anyone thought possible. It's not 100% identical to be sure, but there are times (quite often) when it's really, really damn close." ^^^ are those your own words sanjoy? I just got back from Sony's private Killzone 2 party. It was held at a little sushi place on Ocean Avenue called Sushi Roku. The good news is that Killzone 2 was playable, the bad news is that the only ones allowed to play it were the developers. The game presentation started with a very familiar cut scene that showed a group of men being flown in to take on the Helghast. The trailer's graphics were amazing. It's probably some of the best facial animation I've seen in a console game. I did find the mouth movements to be a bit uncanny, but otherwise it was some pretty impressive stuff. After what we thought was a short trailer, the game dropped straight into actual, live gameplay. And I do mean live, the game was actually being played by one of the developers as we watched. The developer proceeded to play through an entire level of the game as we looked on in stunned silence. There was a lot to take in during the lengthy gameplay session. First, the game appears to not feature a HUD, in fact the only time I saw anything on the screen that was hud like was when the developer fired or switched weapons. The game's look was the most stunning thing about it. Much like Resistance Fall of Man, it wasn't anyone thing that really stood out (though the lighting effects were just plain stunning) but rather the combination of everything you were seeing. There was so much detail, so much activity that it was hard for you to take it all in as it happened. Instead the game's intense action and detailed graphics helped to create what the developers called a violent theater of war. The little things I did notice about the game included destructible environments, enemies that not only reacted to being shot, but to where they were shot, impressive weather, fire, and lightning effects and a world that was abuzz with activity. The game seemed to have some pretty significant muzzle drift when a weapon was fired and the AI looked fairly intelligent, though I couldn't tell just how clever they were being because the developer ran through it so quickly. After the gameplay session the developers told us that that one single level (which was played on a Playstation 3) had taken up 2GB of data. They said the game, which takes place on the Helghast planet, will have you taking on enemies armed with weather-based weapons. The game itself will also require you to pay attention to weather. 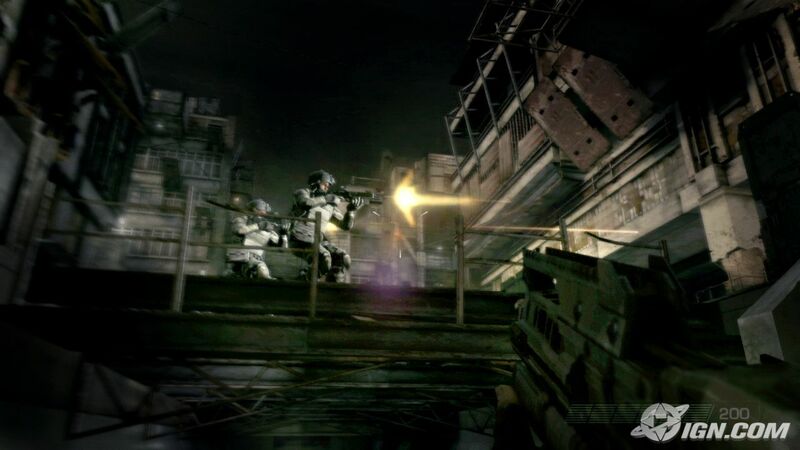 The game will include multiplayer that will have "links to" home and Killzone 2.com, but the developers said they couldn't yet go more into that. Oh, they also made a big deal out of the fact that their trailer did feature in-game, real-time cut scenes. In fact, they ran through the beginning of it a second time, pausing in the middle to move the camera around and zoom in and out, just to prove there was nothing up their sleeves. I think Killzone 2 is probably the most impressive game I've seen so far at E3. Granted it's early in the show, but I think the game has a good chance to retaining that title. But don't trust me. 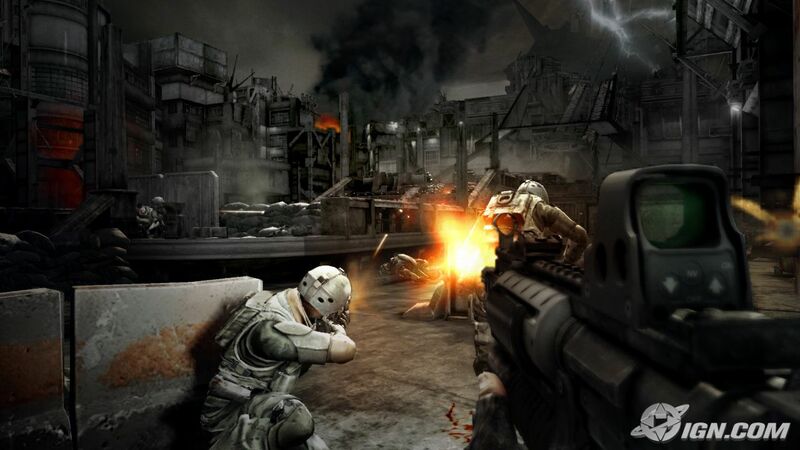 Starting at 3 p.m. Pacific time Wednesday, Sony will have the new Killzone 2 trailer up on the Playstation Store. Go check it out and report what you think of the trailer back here. also confirmed is that the game is in pre pre-alpha,yes u read right "pre pre"
Even IGN gave it a 7.5, not because of gameplay but 'cause it had a lot of bugs and glitches. It wasn't polished out at all.